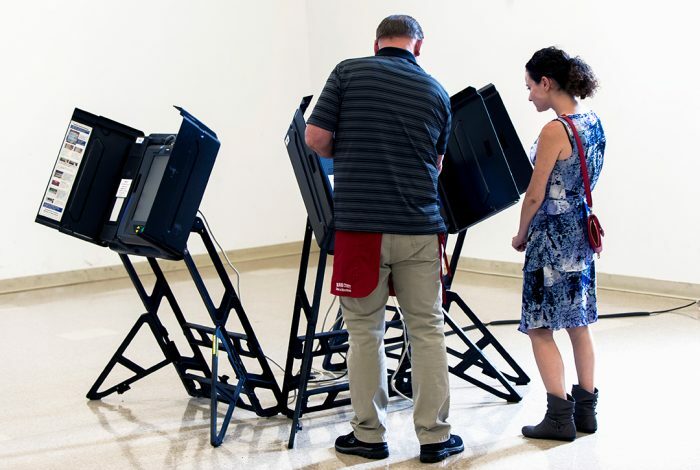 Unlike hand-marked paper ballots counted on scanners and regular non-hybrid BMDs, these new hybrid systems can add fake votes to the machine-marked “paper ballot” after it’s been cast, experts warn. Any manual audit based on such fraudulent “paper ballots” would falsely approve an illegitimate electronic outcome. 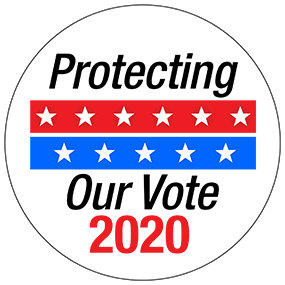 The potential for hybrid systems to add fraudulent votes without detection was identified by Professor of Statistics Philip B. Stark of UC Berkeley, an expert in postelection manual audits, in September of last year. 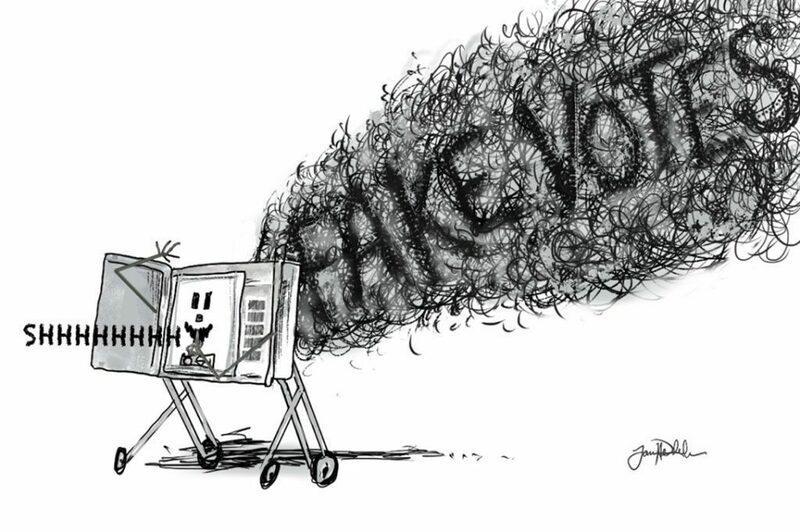 At the time, he told TYT Investigates that the ExpressVote hybrid, which Johnson County, Kansas, had purchased a few months before the 2018 gubernatorial primary, could be maliciously programmed or hacked to create an entirely fraudulent machine-marked “paper ballot” because the machine includes an option that allows the voter to “AutoCast” the ballot without first printing and inspecting it. Another election expert, Computer Science Professor Andrew Appel of Princeton University, subsequently confirmed the existence of this stunning defect and dubbed it “Permission to Cheat.” Appel further reported that the ExpressVote XL and Dominion ImageCast Evolution include the same defect. Photo credit: Cartoon courtesy of James H. Whitelaw. Related front page panorama photo credit: Adapted by WhoWhatWhy from Douglas W. Jones / Wikimedia Commons (CC0).